The Transformer Book Trio is one of a number of 2-in-1’s on the market right now that are trying to succeed as the next popular PC format. 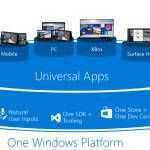 With Android still lacking in the productivity department but leading Windows with gaming social and Google apps this 2-in-1 could be a great solution. As a laptop this is a very heavy 11.6-inch clamshell. 1.7KG is 50% heavier than some solutions. Take the Lenovo Yoga 11S for example; it only weighs 1.2KG. As an 11.6” tablet though it’s quite light and should feel magazine-like in use. A one-handed e-book reader it is not, however. Many questions remain unanswered about this product though. Is Windows installed on the 500GB spinning drive? If so, is it SSD cache-accelerated? Do the batteries allow cross-charging”"? Does Android run in the background while docked and running Windows? Can parts of the 500GB drive be shared between Android and Windows? Why Clovertrail and not the latest Baytrail platform? Does Windows 8 go into standby when the screen is removed or will it remain connected to the WiFi and offer notifications, streaming audio usage, hotspot, NAS and VoiP usage? Windows 8 Pro and backlit keyboard is useful for productivity. A Core i7 option offers even more laptop power. 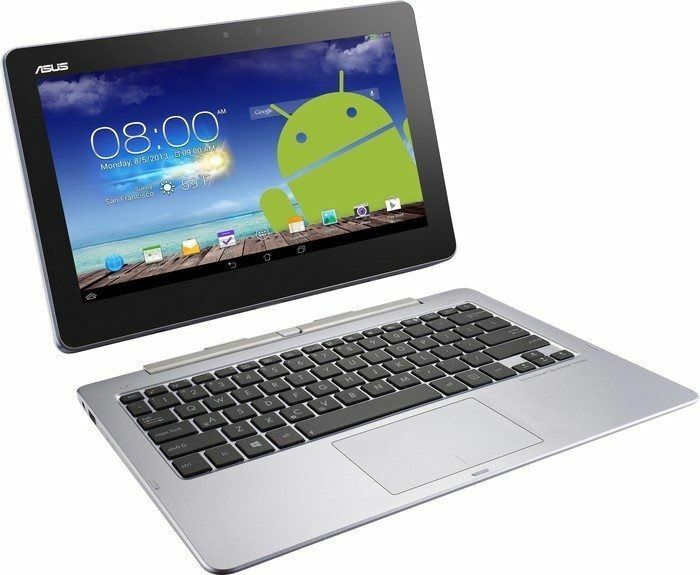 The product brings into question the buying cycles of tablet and laptop users. In general, laptops get renewed at a slower rate than tablets so are you going to use that tablet for three years or upgrade the laptop sooner than you would normally? Are you ready to upgrade a tablet and laptop at the same time? What happens when Metro offers some unique experiences that you’d like to have on a tablet? This product won’t allow you into that scenario because it will never run Windows 8 on the tablet. 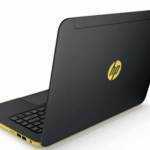 The HP Split X2 Ultrabook is available for a similar price, weight and specification but without the Android/Clovertrail build. The problem here, and an advantage for the Trio is that the Android tablet weighs much less than the Windows tablet. 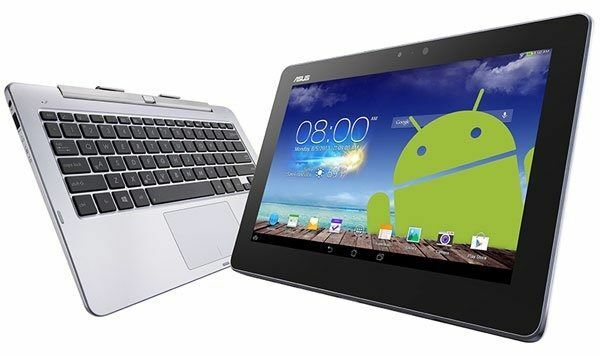 But then again, if Sony and Dell can produce Core tablets in that weight and size, why can’t ASUS? As you can see, there are lots of questions and those questions are likely to be answered by reviewers soon. Users will also find interesting usage cases that haven’t been considered too. The big advantage here though is for Google users, gaming users, social networking users and app-adventurers. The ASUS Transformer Book Trio will give you those features and save you some weight, and possibly some cost, over two devices. It’s a compact solution. The other advantage, for all of us, is that ASUS is doing a great job at pushing the limits and testing multiple solutions. The Transformer series has always been an exciting smart-book product range and this shows that ASUS is prepared to take some risks and try every angle possible. Chippy, do you know which country will get it first? I need to order some ASAP. See you at CES? Already available at John Lewis, as it has been for several days at least. £899.95 including 2 year warranty. BayTrail for Android? That’s new I thought it’s only for windows tablets. Intel has been making great strides at getting their new atoms into android tablets. All of dells new android tablets are running clovertrail, as are some of HPs. If this keeps up it will be even less desirable to write ‘native’ for android and instead stick to java. Let’s be clear, the transformer trio has a Clovertrail plus, not Clovertrail; Z25xx and not Z27xx. 1,7 kg….seriously….who would want to lug around that sort of weight these days…. Well for me is epic fail hybrid from Asus. 2.No backlit even the dock has extra battery!!! 2.Clovair Trail cpu when already most of OEM using the new quad core Bay Trail cpu. Asus what are you think it!! No way to many compromised. Alex and Chippy: Do you guys see any ANDROID Bay Trail Tablets now? That’s right…. It’s based on Clover Trail+, which means Android only. That suggests the OS is entirely seperate. I’m a techoholic, I own an Asus tf201 and a hp envy x2. I own these two bc of the great asthetics and short comings of both’s funtionality. The trio is perfect for me. Functionality for work and play. Here’s the most relatable way to put it: Win 8 for work, Andy for the crapper, and the independent base to dazzle ppl. Win win win, hence the name, Trio. Love it n can’t wait to sell my x2 for part of the price! Oh, and great write up Chippy. Very good questions and foresight.